Odds and Ends | Naturally. This section contains a few miscellaneous items that I keep in my pantry that are used time and again in recipes. Most of these are international staples that don’t easily fit into the traditional categories I’ve outline in the pantry section but are important! Some of these items can also be hard to find at traditional grocery stores which means a trip to an international market is in order or you can buy these items fairly easily online. Breadcrumbs are one of those items that feel easy to forget but come in really handy in recipes. I keep breadcrumbs around for use in patties/cakes (for binding) or for breading (like homemade cauliflower bites). You can easily make breadcrumbs yourself, just remember the store-bought versions are often finer and may not be as noticeable in recipes. You might also see panko with the breadcrumbs at the store. Panko is a Japanese style breadcrumb that is usually coarser and made from bread with the crust removed. I typically use whole wheat breadcrumbs but for breading, panko can created a nice, flaky breading. In the realm of cooking curries, there are a myriad of powders and paste options to explore. Each paste and powder has its own identity and can make or break a dish. Curry powders tend to be more Indian in flavor while pastes have more essence of Thai cooking. I keep both on hand depending on the type of meal I’m looking to make and while you can substitute one for another, know the outcome of the dish will be completely different. I like to use curry pastes in soups, sauces, and even hummus. As mentioned above, curry pastes can come in many different flavors and colors, depending on the ingredients. The basic ingredients, however, are chilis, spices, and fresh herbs. 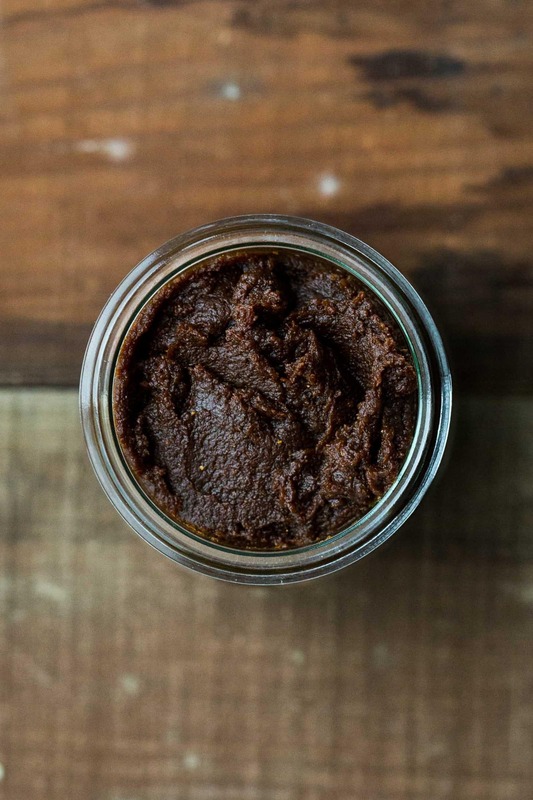 Store-bought curry pastes work but homemade will have more flavor. Store curry in the refrigerator. 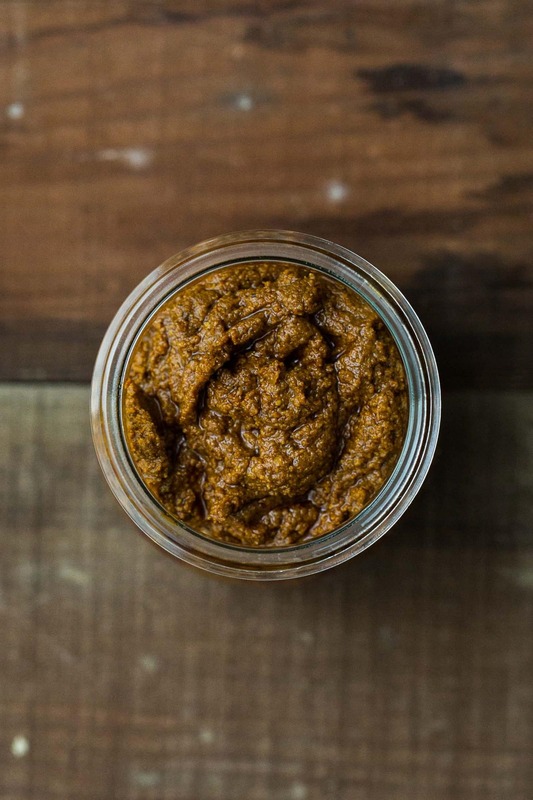 Homemade curry paste will last up to a week, store-bought will last a bit longer. Miso is a paste made from fermented soybeans, salt, fungus, and occasionally grains (my favorite miso is actually made from fermented brown rice). The taste is often salty but can also have a deep earthiness to it. The paste is often used in sauces, soups, and ramen bowls. Miso comes in a variety of colors: white, brown, black, yellow and red. These colors are often indicative of the ingredients used to make the miso, specifically the grains. You can find different varieties of miso in squeezable pouches at the grocery store. The darker the miso color will usually mean the miso packs more flavor and has been fermented a little longer. I typically stick with lighter colors, like the brown rice miso, to add just a hint of the earthy flavor without it overpowering the other ingredients. Also, because miso is fermented/has live cultures, add it at the end of the cooking process as to not overheat and kill the live bacteria. Store miso in the refrigerator in an airtight container for up to 6 months (for best flavor). I have a love of vegetarian sushi. I learned to make sushi when I first started cooking, which meant keeping a stockpile of nori on hand. 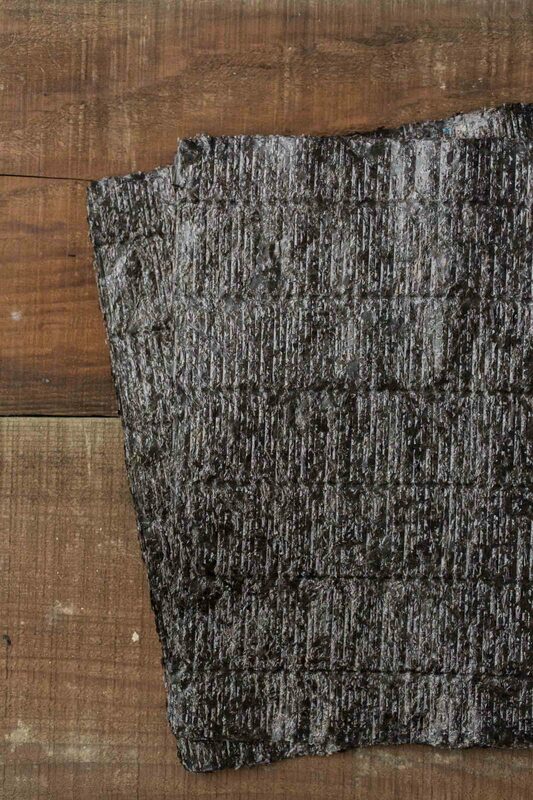 Nori is simply edible seaweed that’s used for wrapping (or I’ll also crush it and sprinkle it over noodle bowls or rice bowls). Nori does have a bit of a ‘sea’ taste depending on the brand. If unopened, nori can be kept for up to 6 months. To be safe, I keep it an airtight container for only a couple months. Once opened, store in an airtight bag and use quickly as nori will start to absorb moisture and lose its crunch. 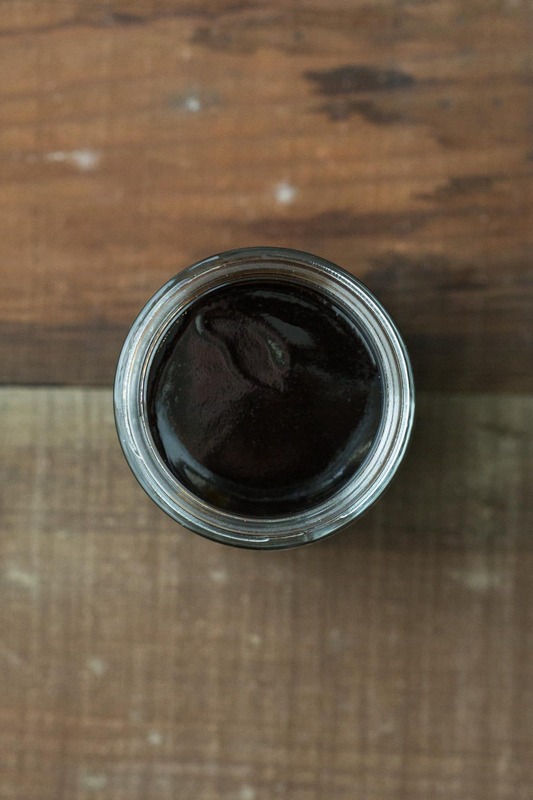 One of the lesser known ingredients, I like to keep a tamarind paste in my pantry for use in noodle and dipping sauces, chutneys, and salad dressings. The taste of tamarind is a bit sour with just a hint of sweet. It comes from the fruit of the tamarind tree and can be found usually with the curry pastes in the supermarket. A little tamarind goes a long way, the flavor is very strong. I find it pairs best with ginger, garlic, and in peanut sauces (the perfect dipping sauce.) Keep tamarind paste sealed tight in the refrigerator for up to six months or freeze for extended use.